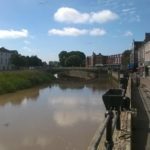 In this years finance budget Bridgwater Town Council ring-fenced £7,000 for youth spending. 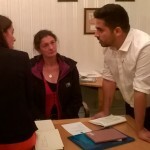 Cllr Diogo Rodrigues (Dunwear North), as lead member for youth, started a consultation with youth organisations, youth leaders and young people to get a better understanding of the youth provision in the town. 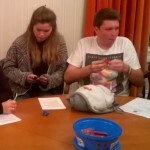 At tonight’s Town Council meeting the BTC Youth Grant scheme was launched and criteria agreed. Cllr Rodrigues introduced the budget proposals saying “The council set up a Youth Working Party tasked with detailing how the £7,000 youth budget would best be spent. We are now proud to put forward a youth grant system for this financial year, with the application process open immediately and a maximum of £500 available for each successful organisation. Applicants will have to meet criteria as set out in the application and will also be required to report back on the success of the project which funds have been used for. We are very proud that this council has been able to step in and offer some financial support to vital youth provision services in the Town which have faced difficult funding cuts from local and national government over a number of years and as a result unprecedented financial uncertainty. 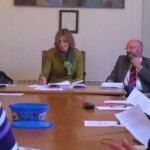 Organisations and youth events will also be promoted via the youngbridgwater.co.uk website set up by Cllr Rodrigues. Any organisations wanting their details to be published should contact Cllr Rodrigues via the webpage. Grant applications from Alan Hurford at Town Office.